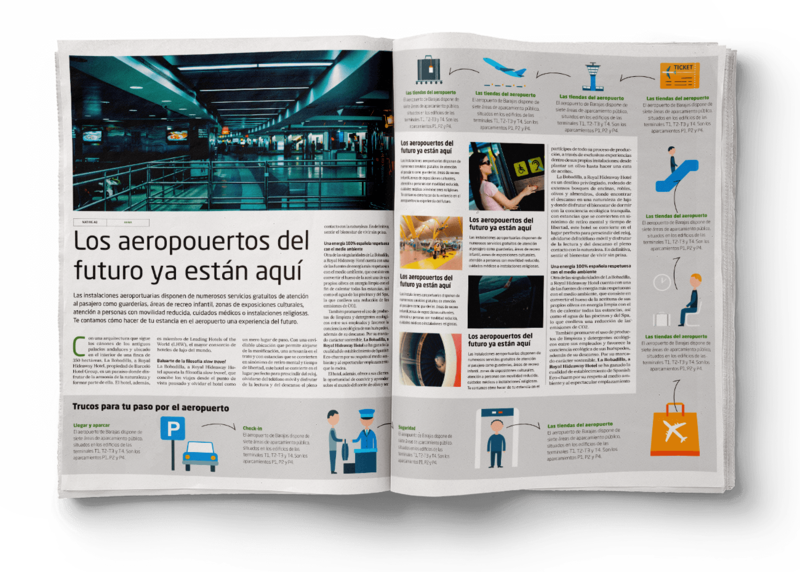 Aena wanted to show to the public all the services they are offering in spanish airports. Since you get there till you get to your flight. We proposed a journey through all the steps a passenger must pass. Giving tips and tricks to the users so they could make their experience in the airport much better. We proposed a website and a print page in El Mundo.